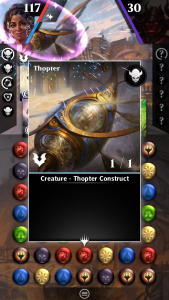 A New Kaladesh Themed PVP Event for Magic: The Gathering - Puzzle Quest - D3 Go! 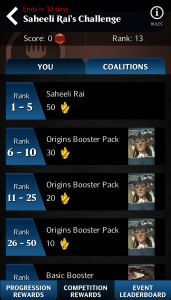 Magic: The Gathering – Puzzle Quest is preparing for PAX West this weekend with the launch of a new update (v1.6.5) that introduces a brand new Kaladesh themed PVP Event titled, Saheeli Rai’s Challenge. 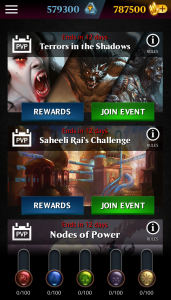 In this PVP Challenge that starts on September 2, players will be competing for Saheeli Rai, a brand new Planeswalker as the top reward in the event. 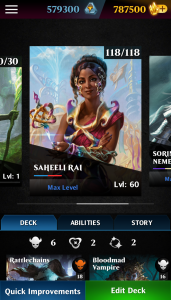 Players will get to test Saheeli Rai’s abilities and skills as she will be a playable Planeswalker available to all players for this PVP event only. The recently announced Coalitions (team play) will now allow players to earn Coalition Points in events that is tracked in a special leaderboard and players can earn in-game rewards with their friends based on their team rank. Players can download this new update today and/or find out more about it at the Magic at PAX West event this weekend. 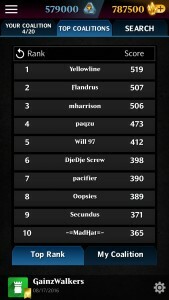 D3 Go! and Hibernum will be in attendance and visitors can meet the team, get hands-on demos with the game, pick-up some treasured swag, and for anyone that has the game already on their mobile device, they will receive 200 Mana Crystals just for saying hello to the team at the show. For complete details – please visit HERE for the v1.6.5 Release Notes. In addition, a Mana Crystal Sale is now taking place through September 4 to help players replenish their in-game resources. 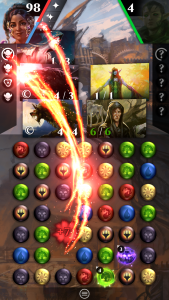 Magic: The Gathering – Puzzle Quest can be downloaded for FREE on the App Store and Google Play.